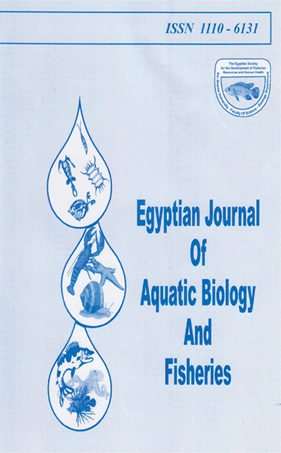 A /Tonthly variations of species composition and abundance of -^-^-zooplankton community in the Western harbour were studied during the period from April 1999 to March 2000 in relation to the effect of water circulation and the discharged waste waters. The results indicated significant role of freshwater species (39 spp.) in the zooplakton community (11 lspp.) in the harbour, providing the highest occurrence during the warm period (May- October) with the increase of discharged waters. However, spatially, the community structure showed a more or less homogenous distribution most of the year, reflecting the effect of water circulation pattern in the harbour. Except the relatively high density in July (48.4x103 ind./m3), the standing stock ( annual average: 26.7xl03 ind./m3) indicated low zooplankton production in the harbour. Copepods and tintinnids were the major component of the zooplankton stock, forming 46.4% and 24.8% of its total counts respectively, followed by freshwater ciliates and rotifers (7.5% and 7.2%). The abundance of total zooplankton as well as each group showed seasonal variations, with the exception of the minimum and maximum values, providing two periods of different production levels. The diversity index values revealed higher diversity of tintinnids than copepods.